These fun lights, which come in boxes of 25 bulbs, will wrap beautifully on any type of greenery. Consider using them on your tree, mantle decorations or greenery-wrapped stair railings. 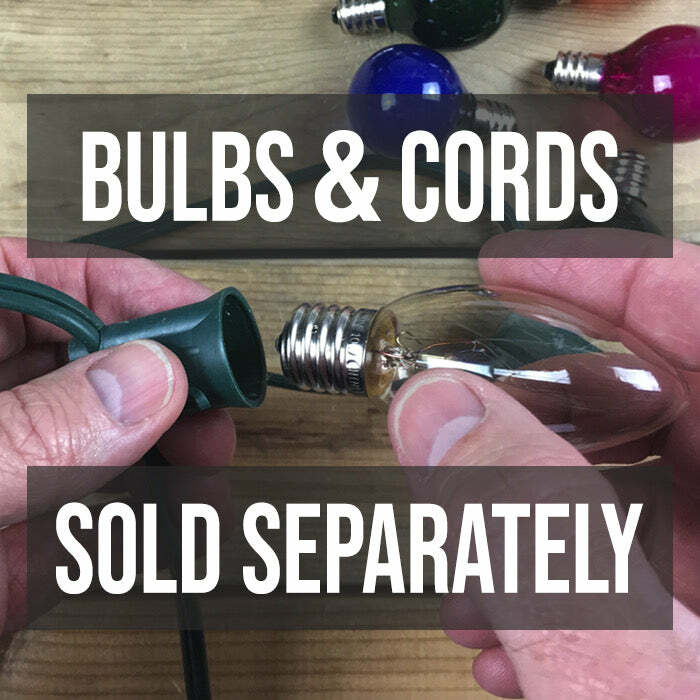 When placed in your cord, purchased separately, they can be used in multiple ways to bring interest to all of your lighting projects. Purple C7 bulbs are a great choice to use on theme trees or when you want a more non-traditional look. Combine with other colors, such as white or yellow, to create dramatic lighting for any special event. Spring and Easter are the perfect times to feature these colors in your decorating. To create a textured look on your Christmas tree, combine C7 bulbs with mini lights for a different style.